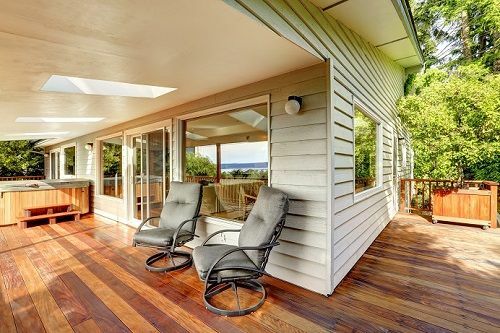 Decks are determined largely by the shape and style of your home. They’re also designed around how they’ll be used and who will be using them. 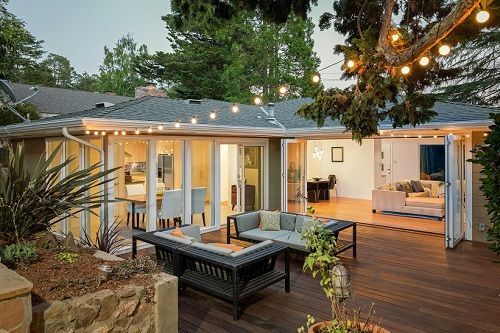 Some decks and patios are built with the comfort of an outdoor living space in mind while others are meant to provide homeowners with a slice of open-air and Pacific Northwestern seclusion. As part of our build process, we offer across-the-board design consulting to guarantee your vision materializes how you want it. To help you choose which patio might be best, here are a few of the common types we build. 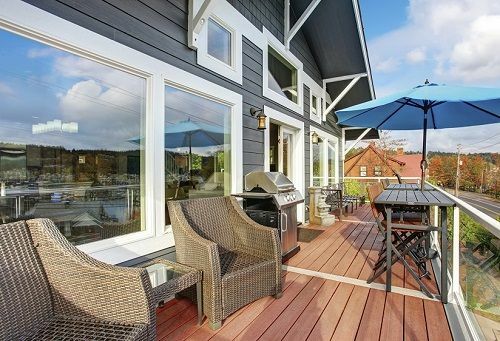 Wrap-Around decks are a classic style that work for just about any home with the space. For homes with unused square footage surrounding at least one corner of the home, these are the most common option. Enjoy every side of your home. Add a rail or safety lights. Half or full wraps available. 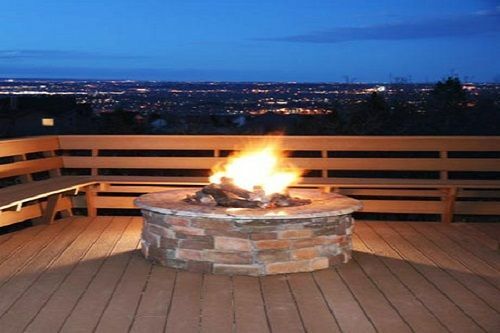 We call these “bridge” decks because they connect two entryways of a home. Typically found in homes with courtyard-centered U-shaped homes or the more common “L-Shaped” homes. Our most classic deck style. Perfect for outside entertaining and leisure. Wood, composite decking, natural stone or stained concrete options available. For those looking to convert unused space into a quiet, outside sanctuary – a small deck off to the side is the perfect way to include a tidy seating area while keeping the core of your yard intact. Perfect for homes with extra space on the side. Easily combined with existing deck styles. Bridge two rooms or reserve to one. Other possibilities for our clients include raised walkways, comfortable poolside options, and dedicated outdoor dining areas for entertaining and grilling. EvoSiding is happy to collaborate on design and make your ideas a reality. Build in seating or custom fire ring. Ideal for homes with uncommon layouts. It’s a question we get asked a lot, and the answer as with most things in design, is it depends. Some homeowners strongly prefer the a natural wood deck to composite decking. Others may learn about the composite option and not be able to imagine anything better. In general, both options achieve a similar look with the main differences coming down to function or personal preference. 1. You’re in the right place for natural wood. If you didn’t know, Portland and the surrounding areas are rich with lumber options. Our most popular choice, western red cedar, grows bountifully in the lush forests of the Pacific Northwest. Lumber is a commodity, and like any commodity, its price is affected by availability and transport. Which means because we sit at the source of one of the world’s most productive lumber industries, it’s easy to get a good deal. 2. Composite decking should outlast wood. While cedar decking will last a while, composite decking is designed to withstand exposure to the elements for nearly twice as long. With a lifespan of around 25-30 years, composite decking makes sense for homes looking to install a deck that they’re planning to use for a long time. Wood and composite both have their relative environmentally-friendliness. Composite decking is usually constructed of recycled plastic but at the end of their lives, they’ll take forever to break down. Wood, on the other hand, comes from a renewable resource, but doesn’t last as long and will only be reused in some less-than-common circumstances.